« Episode 6: Do Worms Like Steak Pie? 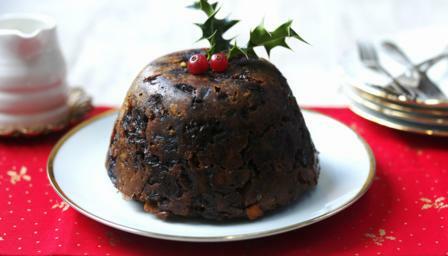 I choose Christmas pudding with brandy sauce. And if you don’t want any I’ll have yours. Christmas cake is equally cack. Yule logs are pretty meh, unless the chocolate is at least as thick at the cake. I’d have to throw in one of them modern christmas pudding shaped sticky toffee affairs. Hot, with cold custard. This is a good choice. I approve. What about something obtuse, such as a quaint trifle? Trifle is definitely Christmas food. It turns up at Christmas parties. I am going to allow this. What’s the difference between a trifle and a quaint trifle? What he said. And an anecdote about a grumpy otter. In the last couple of weeks I have learned that doilies = quaintness, and that is possibly the greatest Christmas gift of all. If you’ve got doilies then you’ve got a whole steaming wedge of quaintness. You’ve got quaintness squared. You’ve got quaintness to spare… I feel like I’m in the Rapples again. If the Rapples ever make a comeback, it will be to correct the lack of quaintness in the rap scene. It would be to correct the lack of quaintness in the rap scene and start a campaign to raise money for doilies.